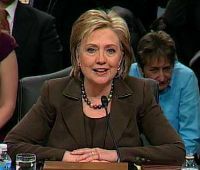 WASHINGTON — Rep. Darrell Issa, chairman of the Committee on Oversight and Government Reform, took sharp aim Tuesday at Secretary of State Hilary Rodham Clinton over the controversial ATF gun program dubbed Operation Fast and Furious. In a letter fired off Tuesday to Clinton, and posted on the CBS News website, Issa chastised Clinton for not providing information to Sen. Chuck Grassley on the ATF program that allowed gun traffickers to pass weapons on to Mexico, all with the hopes of tracing them to the drug cartels. 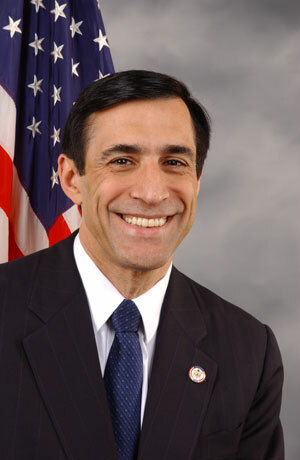 “On March 4, 2001, Senator Charles E. Grassley wrote to you requesting basic information about the connection between Operation “Fast and Furious”conducted by the Bureau of Alcohol, Tobacco, Firearms, and Explosives (ATF), and the December 14, 2010 firefight that claimed the life of Border Patrol Agent Brian Terry,” Issa wrote. “I understand you have yet to respond and are likely to refuse Senator Grassley’s request for information without a letter from the Chairman of the Senate Judiciary Committee. Issa asked that doucments be handed over no later than 5 p.m. on April 12. Posted: 3/30/11 at 12:59 AM under FBI, News Story.